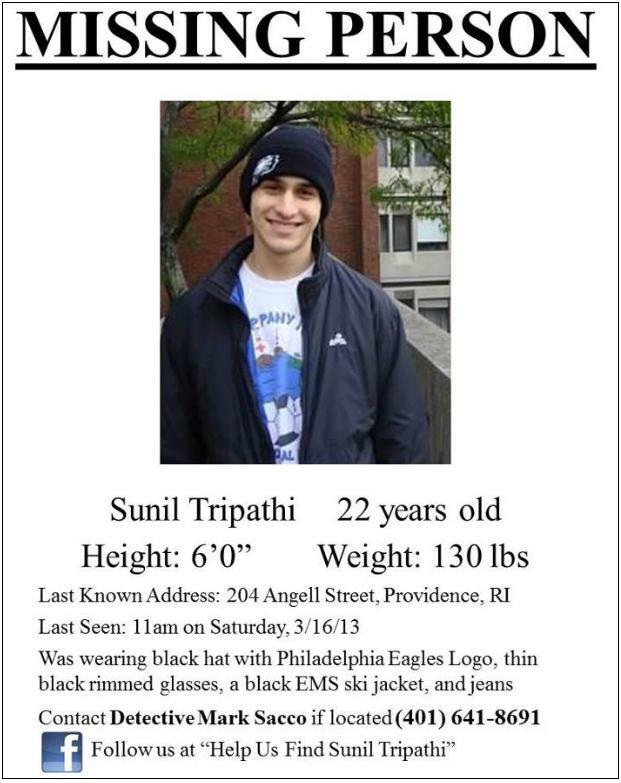 UPDATE: The Boston bomber was not Sunil Tripathi. This was inaccurately reported during the night. 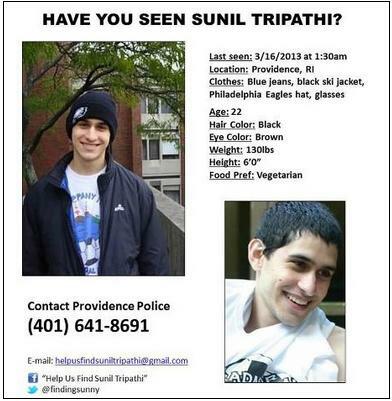 The “Help Us Find Sunil Tripathi“ Facebook page was taken offline this morning. This was after the missing Brown University student was mistakenly identified as Suspect #2 in the Boston Marathon bombings. A cached version is still available. This was posted on the Find Sunil Tripathi Facebook page.